This is a National Recreation Trail and a Kids In Parks TRACK trail. 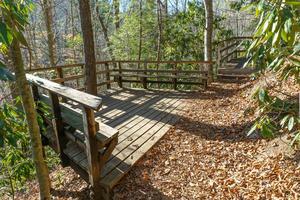 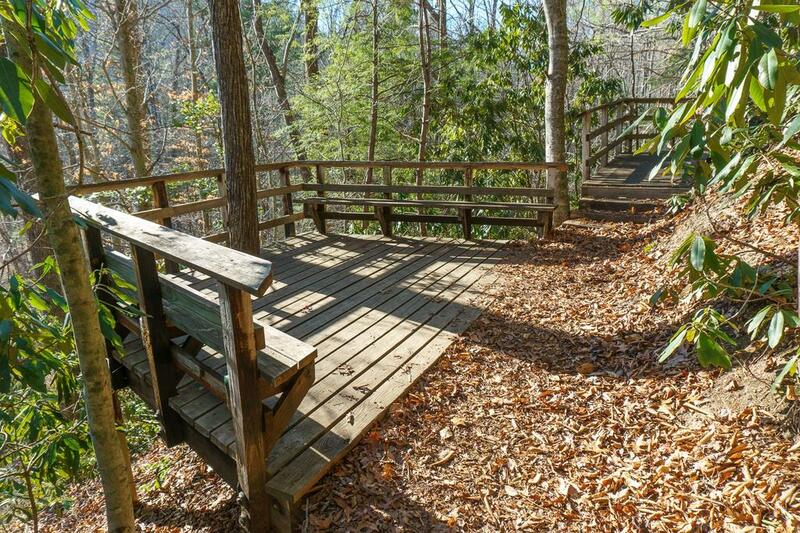 It was constructed by the Youth Conservation Corps. 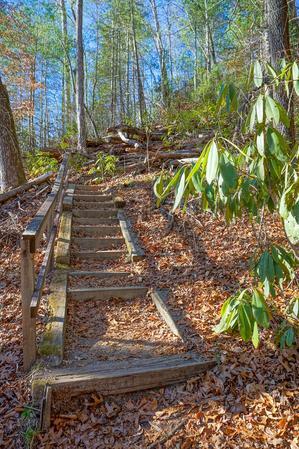 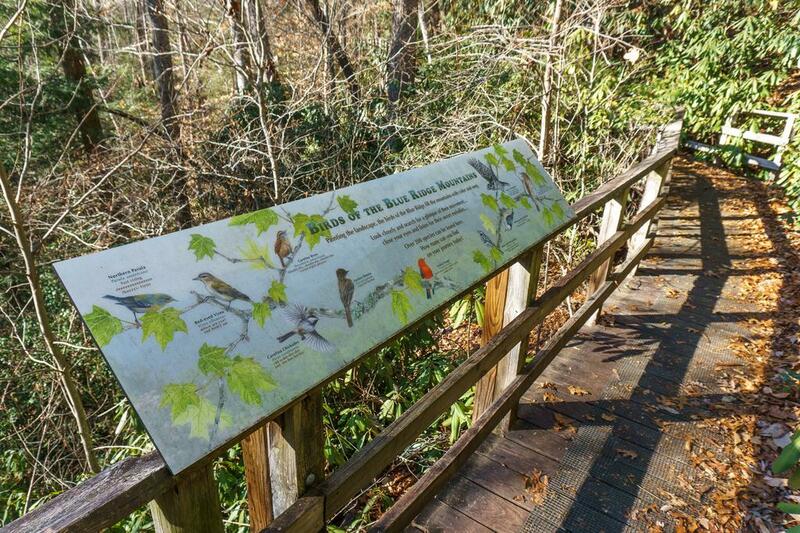 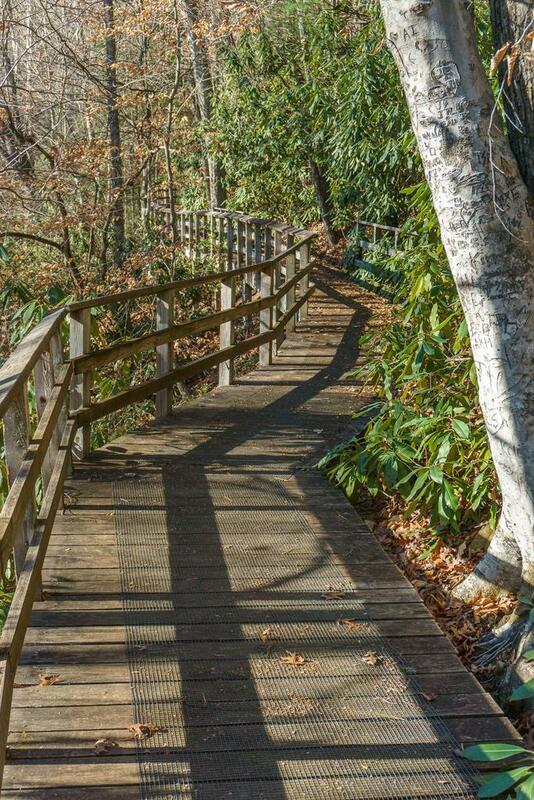 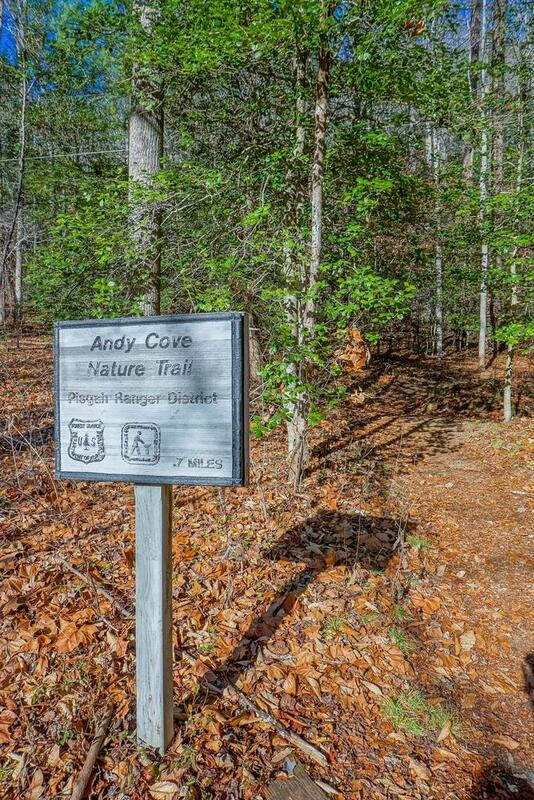 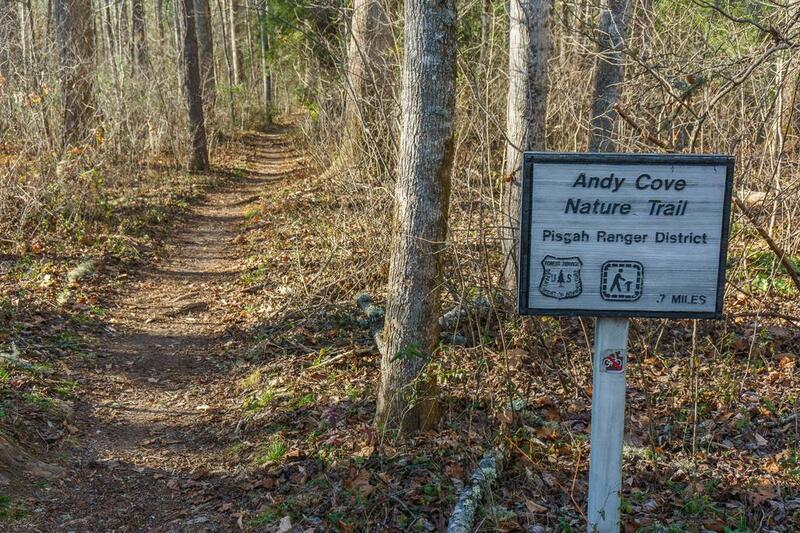 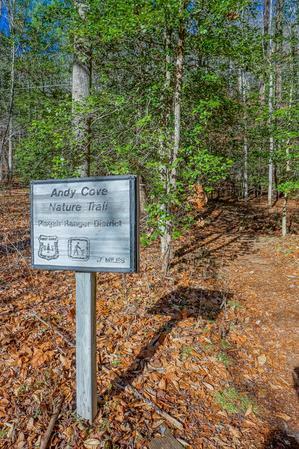 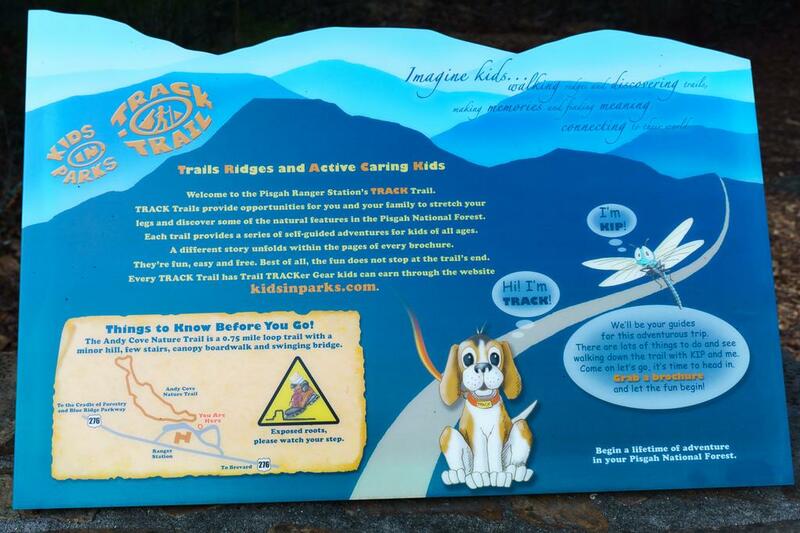 The trail has several interpretive signs along the way which point out common plants, trees and animals which can be found in the Pisgah Ranger District. 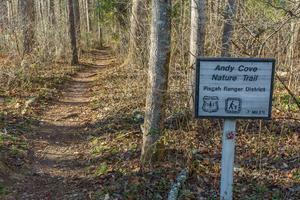 The trail rises on the hillside behind the Ranger Station and Visitor Center. After climbing a few steps, an elevated canopy walkway carries you over a steep hillside at eye-level with the higher tree branches. 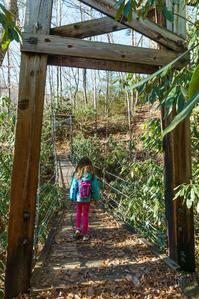 Then there is a long, neat suspension bridge located about halfway around the loop. 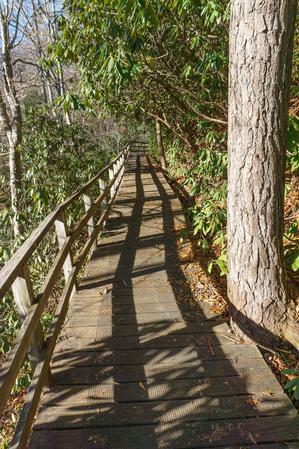 The trail drops down into a stream valley and crosses a couple more wood bridges before coming out at the Exercise Trail. You can use the Exercise trail to add some more distance to your hike if desired. Highly recommended, especially if you have kids!